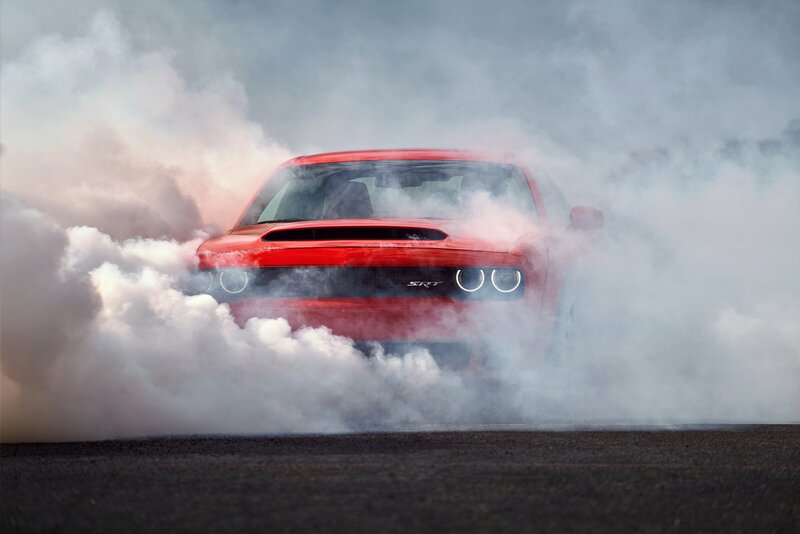 This makes the Challenger SRT Demon the fastest accelerating production car around. But the records don’t just stop there. 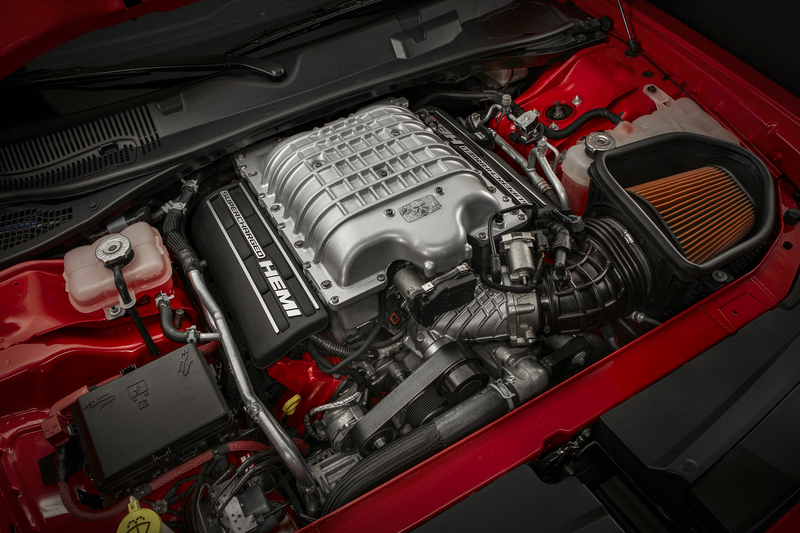 With 840hp and 1,044Nm of torque at its disposal, the 6.2-litre Hemi V8 under the hood of the Demon makes it the most powerful muscle car ever built. 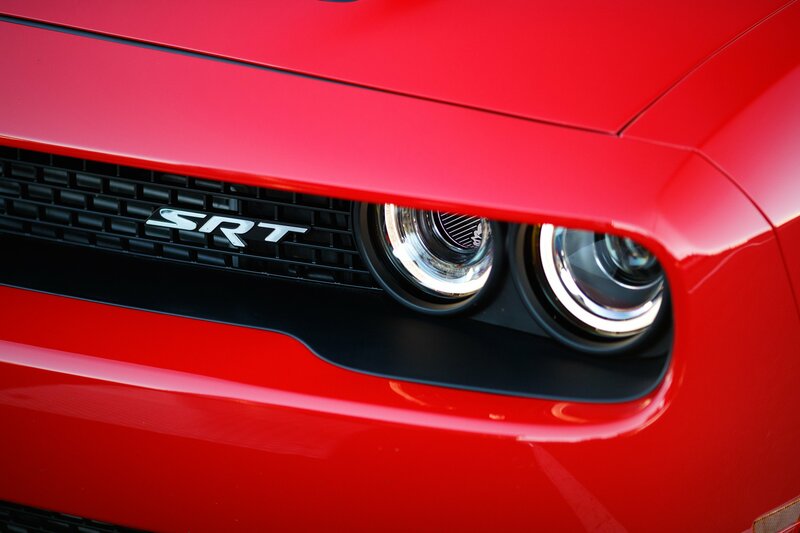 Oh, and that hood scoop is the largest ever fitted to a production car. In fact, we could go on about these records all day. We’re not going to do that though. 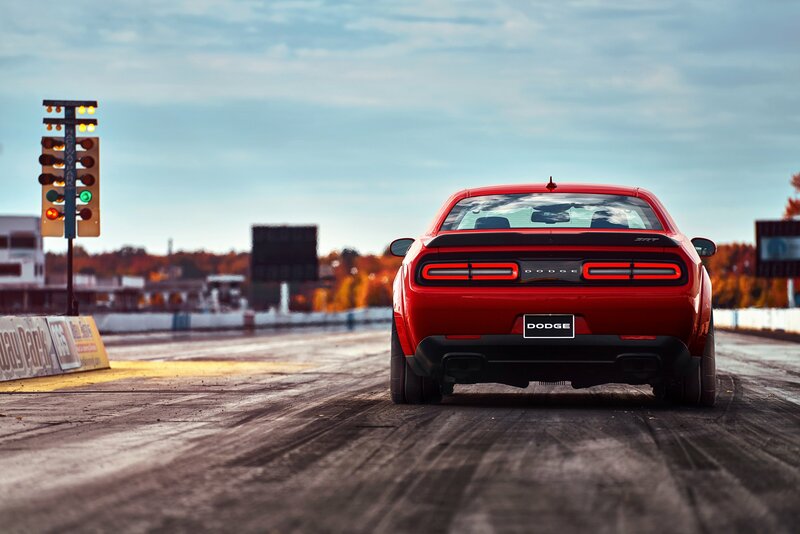 Instead, we’re just going to focus on how ludicrously fast this thing is. 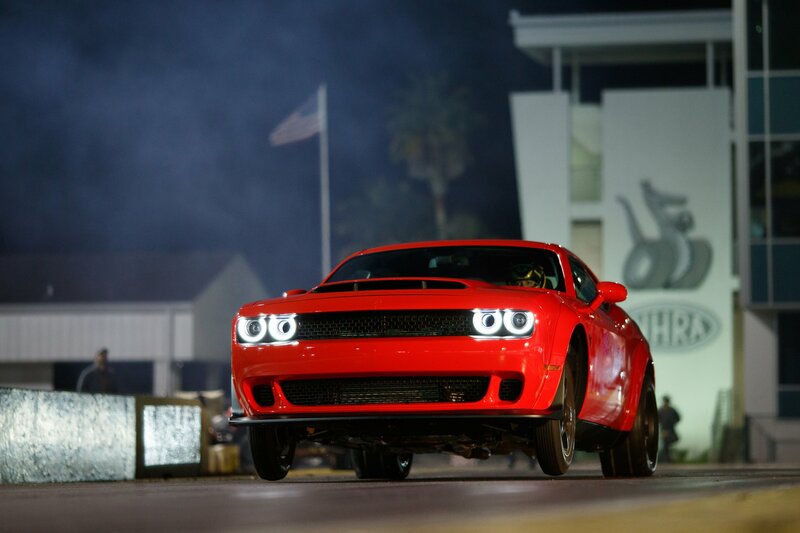 A quarter-mile time of 9.65 seconds (and at a speed of 140mph) is evidence of that. 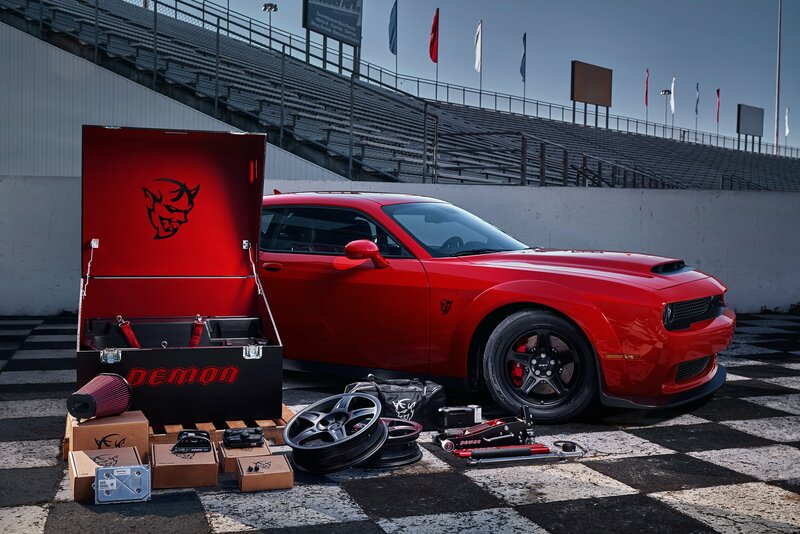 The Challenger SRT Demon is so fast, that the National Hot Rod Association (overseers of drag racing in the good ol’ US of A) have officially banned it from running competitively on the strip. 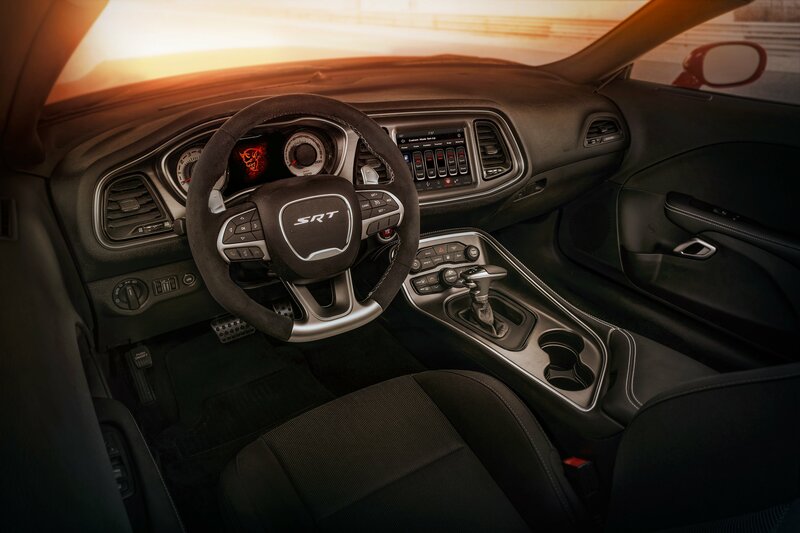 So how have Dodge managed this? 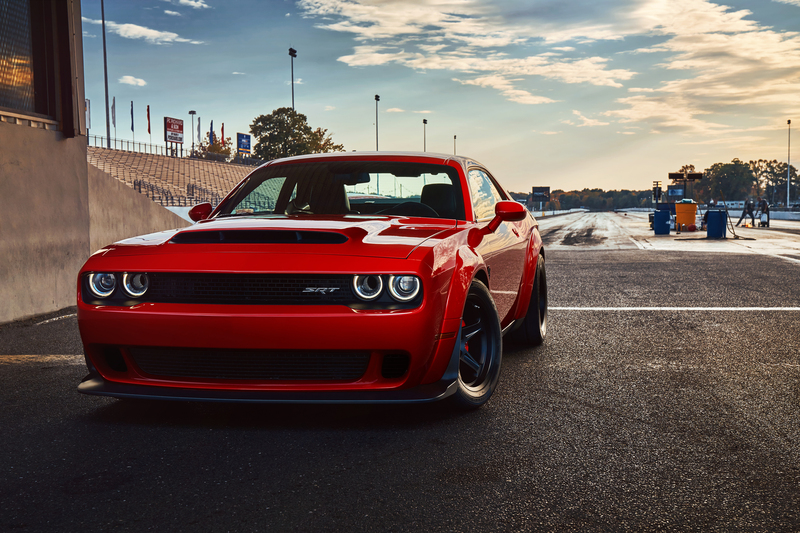 Well, for starters, there’s that monstrous V8 motor (complete with an improved supercharger, higher rev limit and a liquid-to-air intercooler). 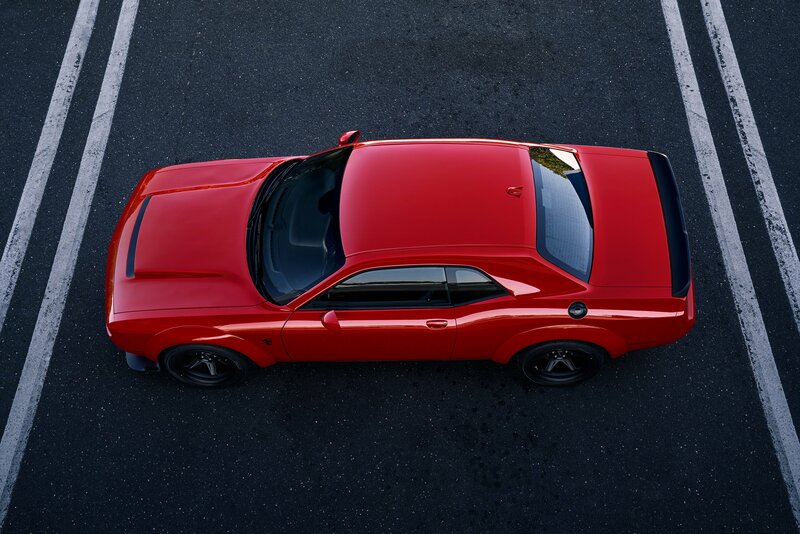 There are also a number of other tricks hidden up this Challenger’s sleeves though. 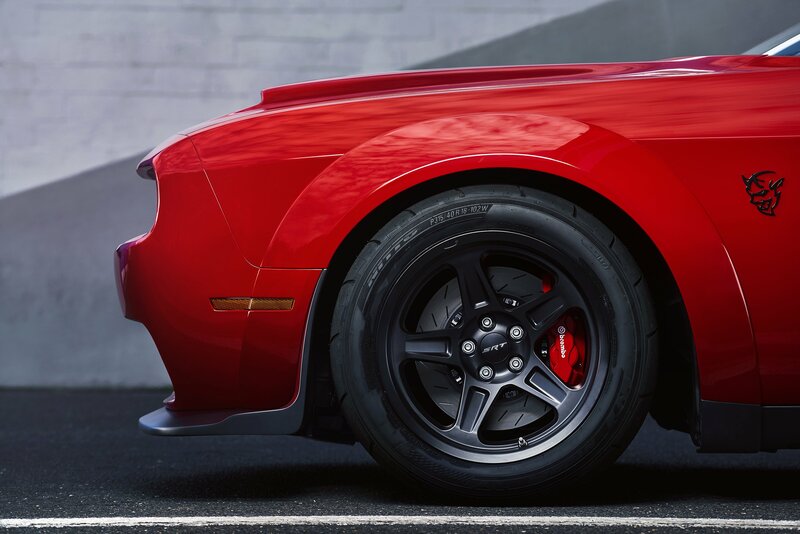 The suspension has a special ‘Drag Mode’ tuning, while a transmission lock, launch control system, and super fat, street legal drag tyres at the rear (another production car first) allow for lightning fast getaway at your local strip. 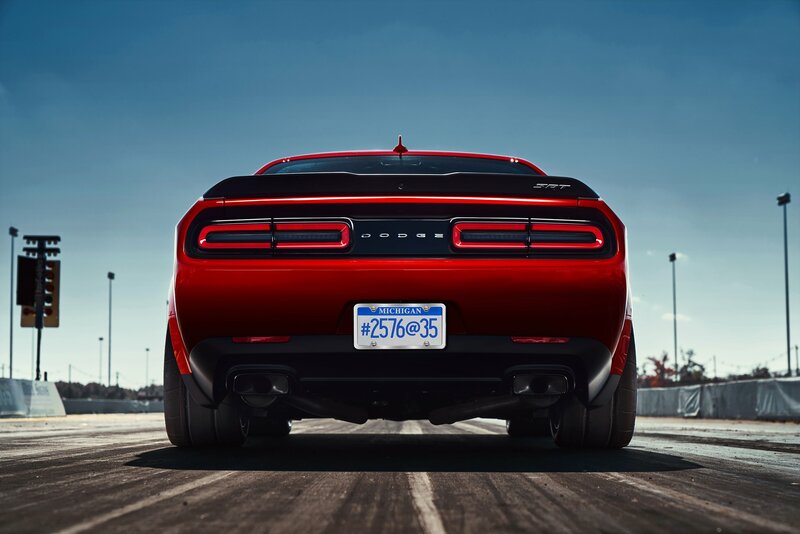 Dodge has tried to save weight where possible too, removing most of the trim in the boot and using lightweight aluminium brake callipers and smaller discs. There’s even the option of skinny “front runner” wheels to cut weight on the nose. Oh, and the passenger and rear seats are deleted as standard (they can be added back in for the princely sum of $1). Who needs friends when you’re this fast anyway?